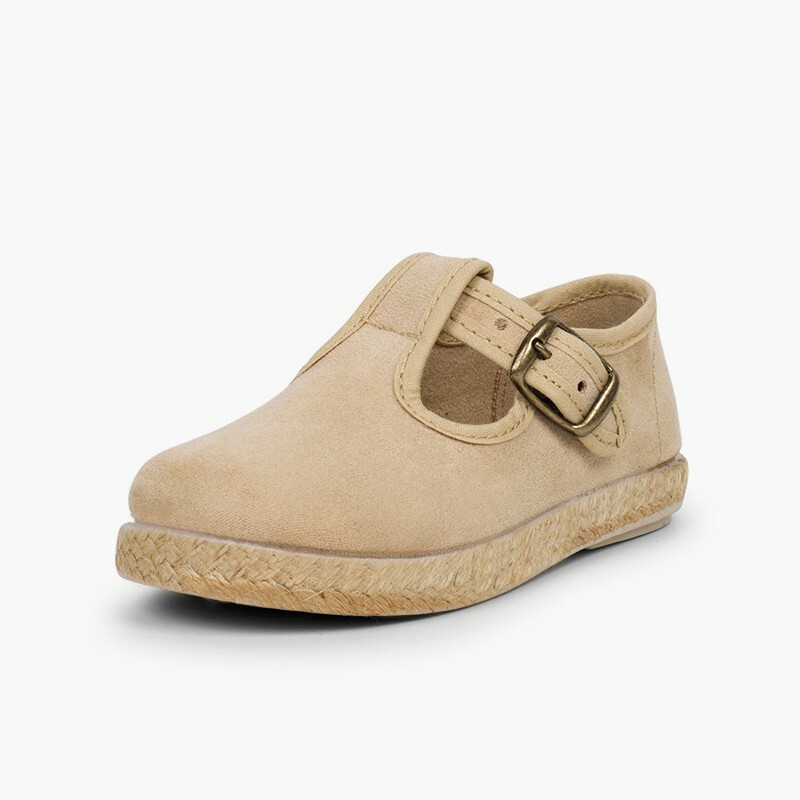 If you're looking for some cute, high-quality shoes at a great price for your son this summer... you just found them! 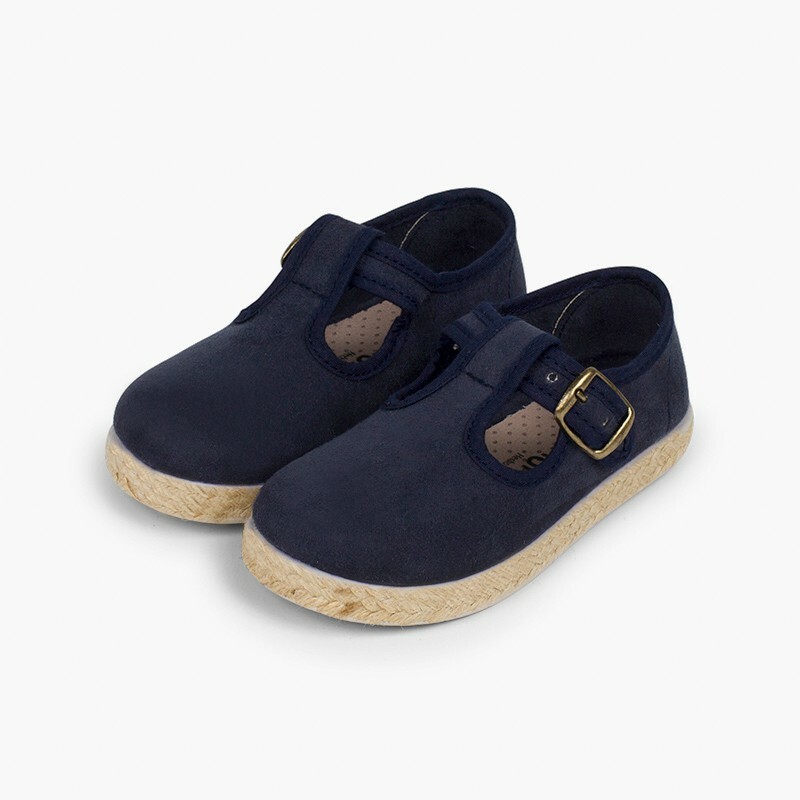 New boys' T-bar shoes with buckle closure, made of high-quality bamara fabric. 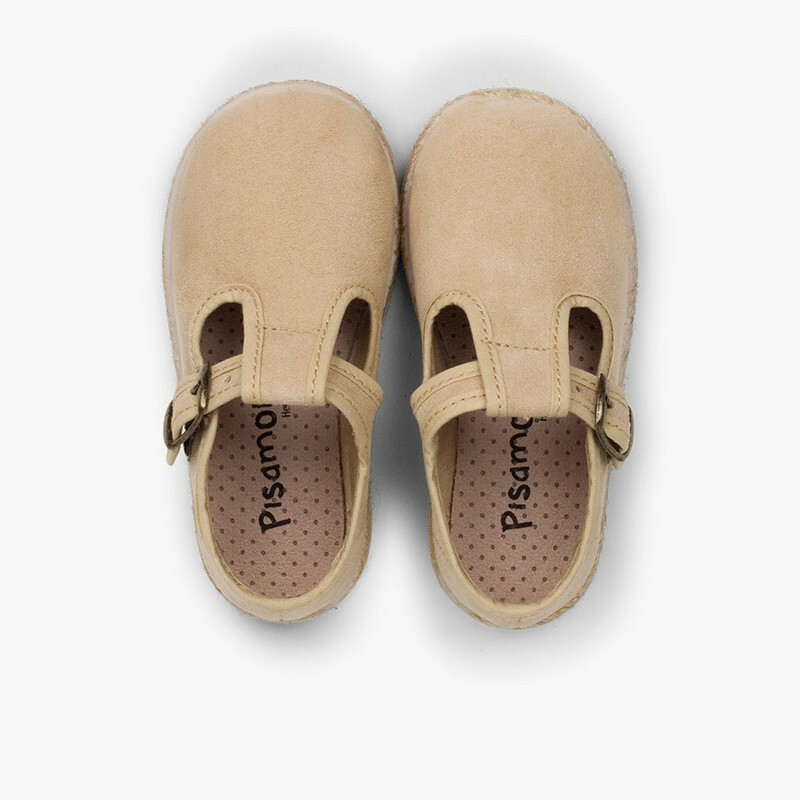 Your little one is sure to be the most stylish wherever he goes! 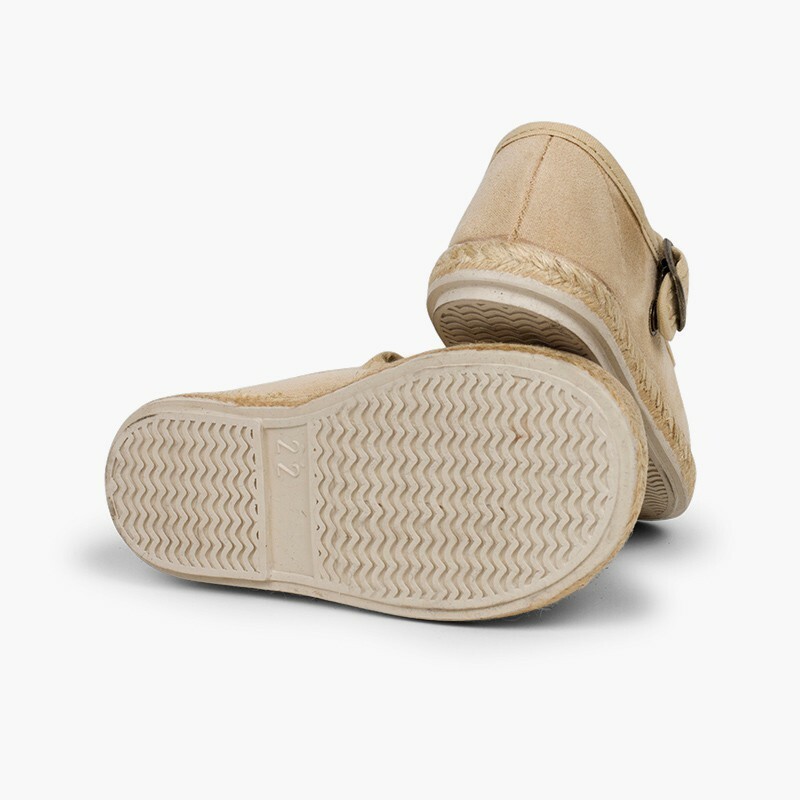 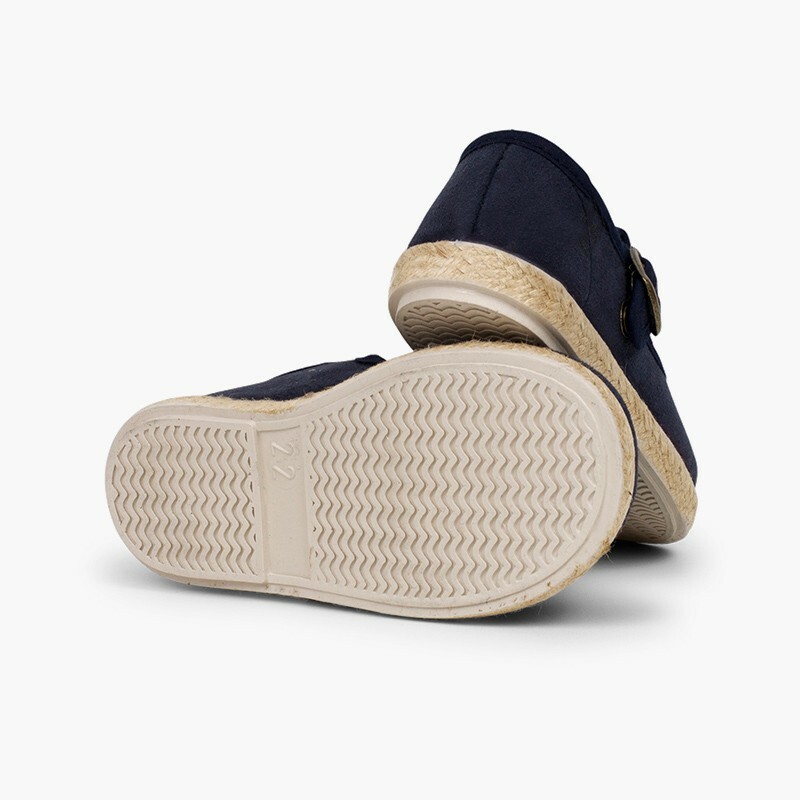 These T-bar shoes are made of super comfortable soft-touch suede-type fabric. 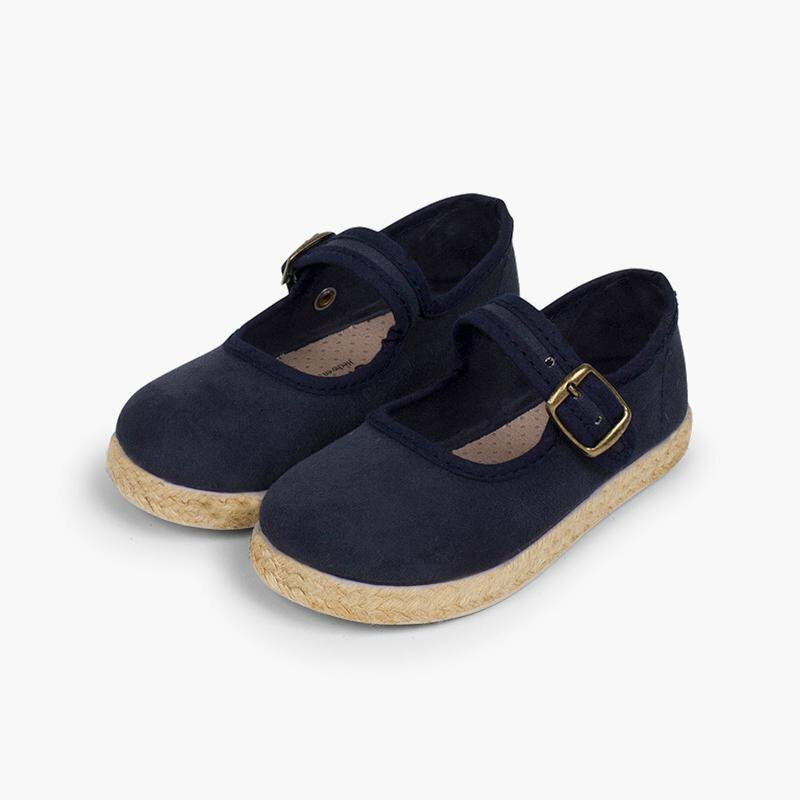 They can be worn with or without socks and, if you also have a little girl and you're attending a special event where you want your kids to match, you can match these boys' T-bar shoes with their twin girls' Mary Jane style, also made of bamara and jute in the same colour. 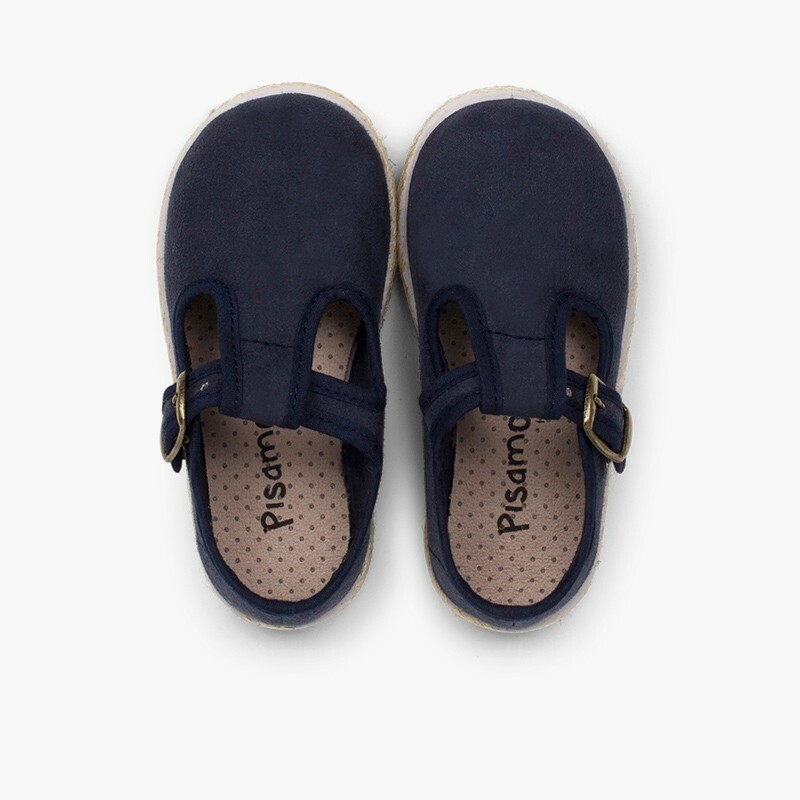 Available in sizes 20 to 26 and in two colours which will go perfectly with your little one's smartest outfits: navy blue and sand. 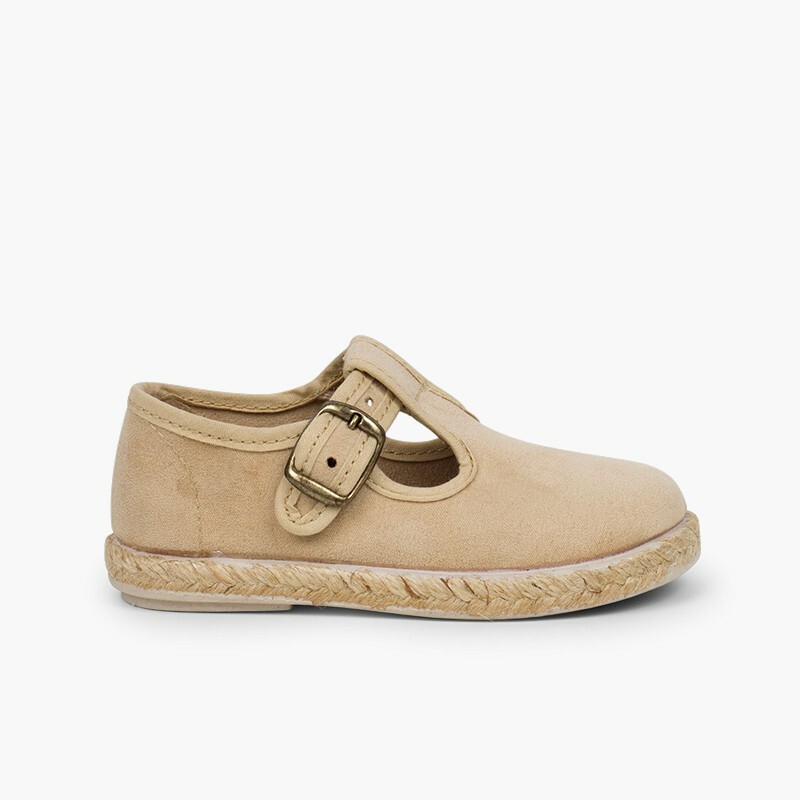 A sophisticated design with a jute band around the sole, which adds a very summery touch and makes these boys' T-bar shoes one of the options that all mothers will want for their children this season. 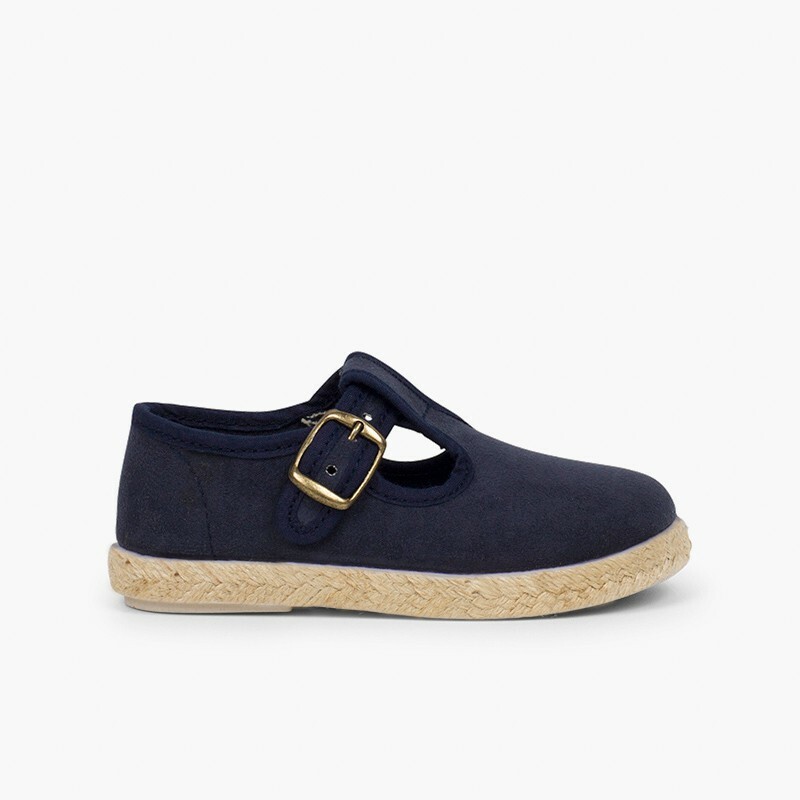 Perfect for casual looks as well as ceremonial events, like if your little one is going to be a pageboy at a wedding. 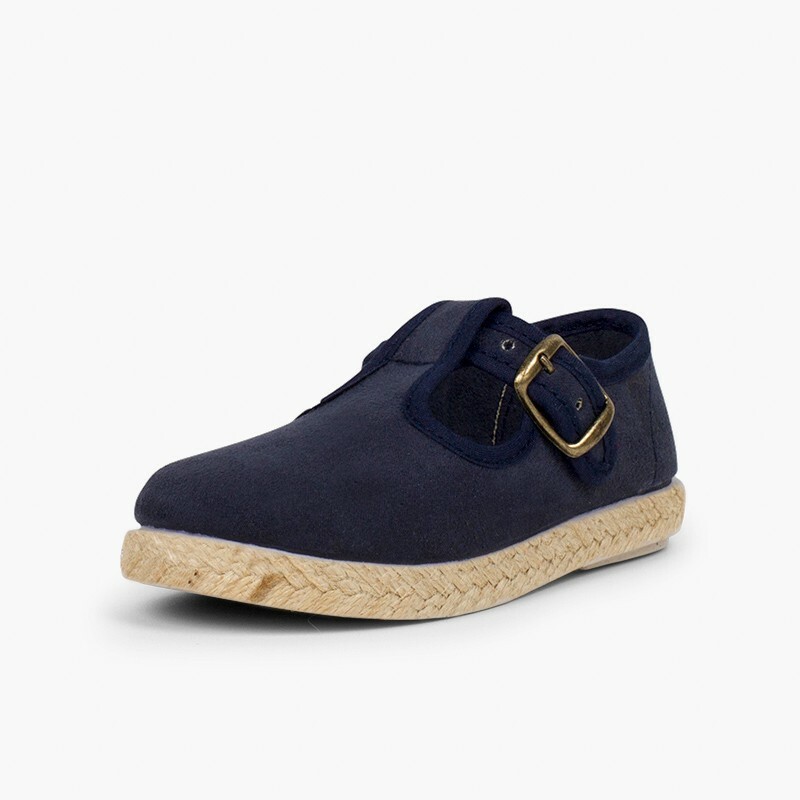 To give a trendy, summery touch to the coolest, smartest T-bar shoes around! 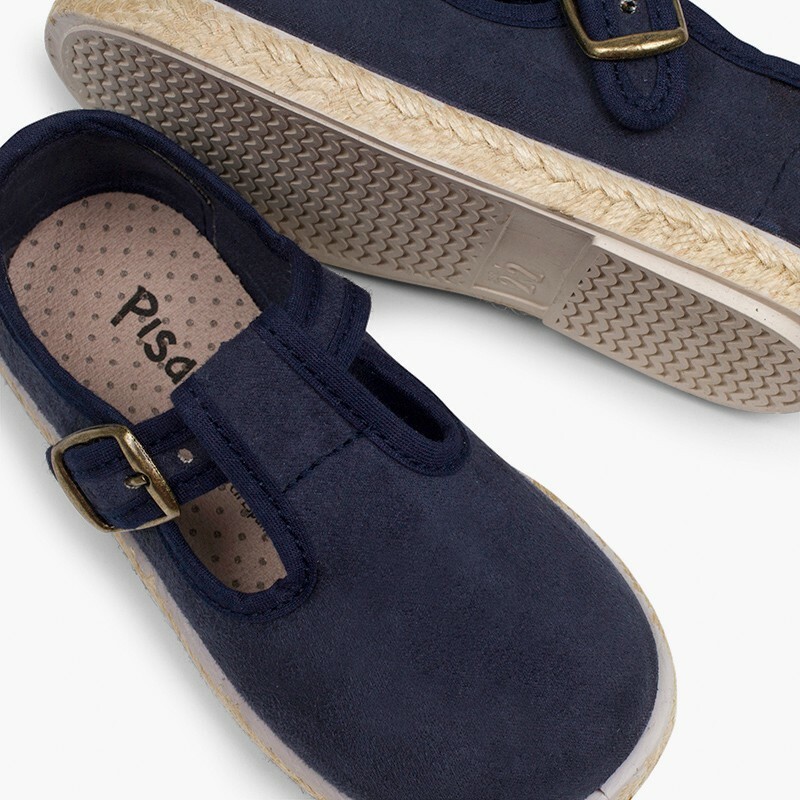 Did you know that we also have a Mary Jane version of these T-bar shoes? 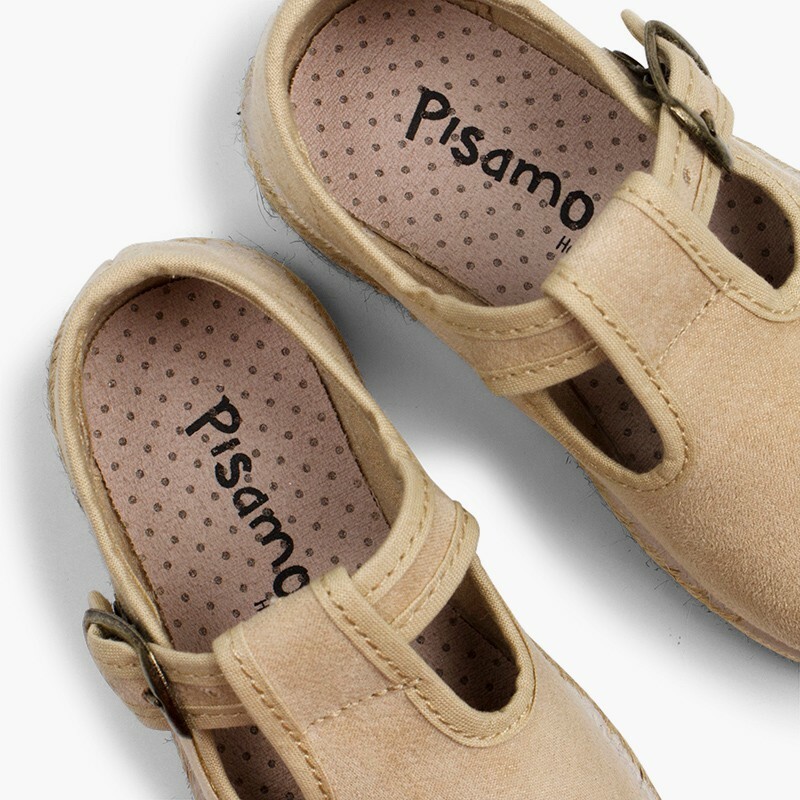 If you want your little boys and girls to match, these styles are a sure bet!